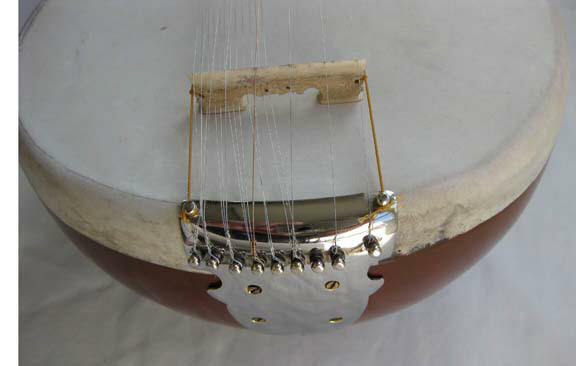 Hemen Sarods when available. 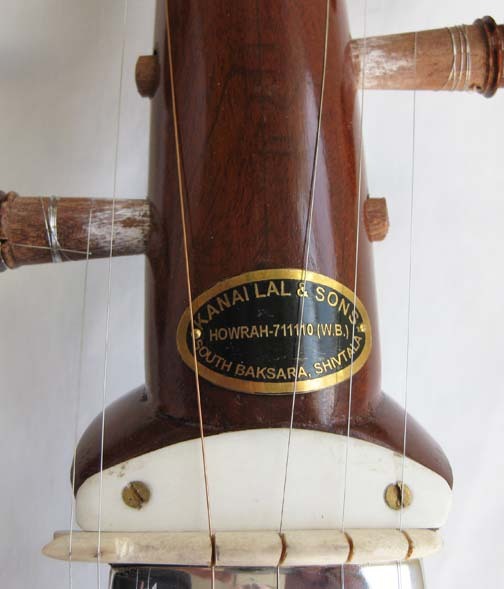 Kanai Lal & Sons ~ Ali Akbar style sarods usually in stock or available on order in Ali Akbar Khan or Amjad Ali Khan style. 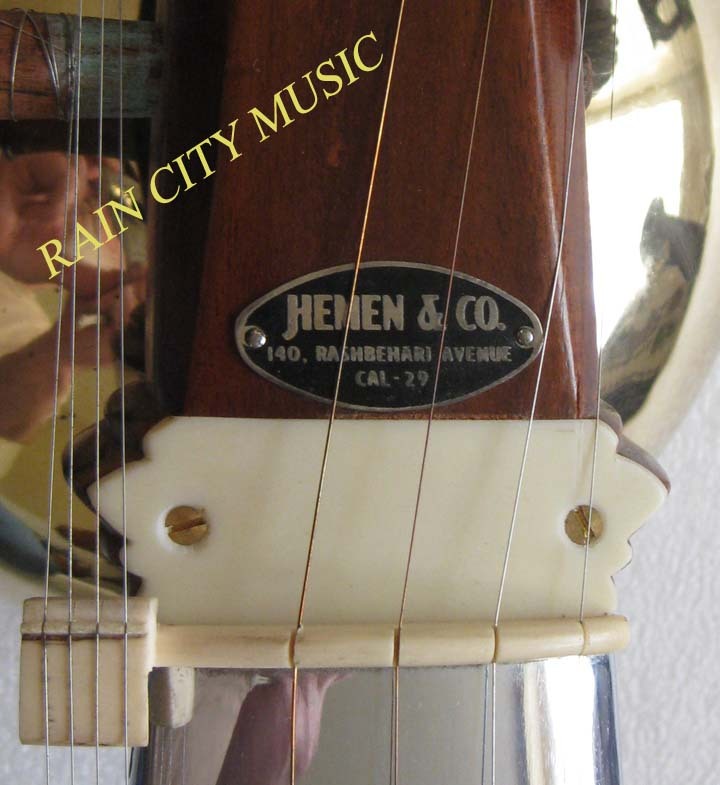 Scroll down to see all the models. 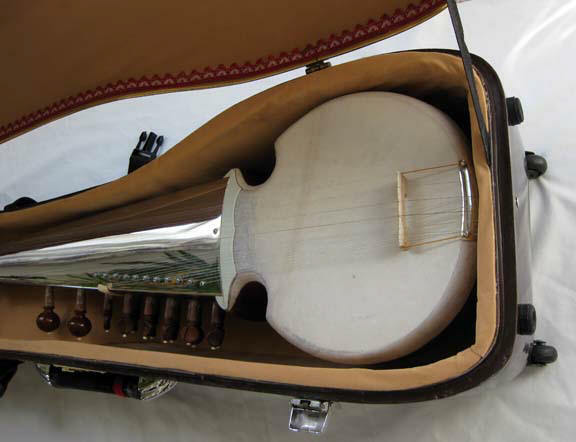 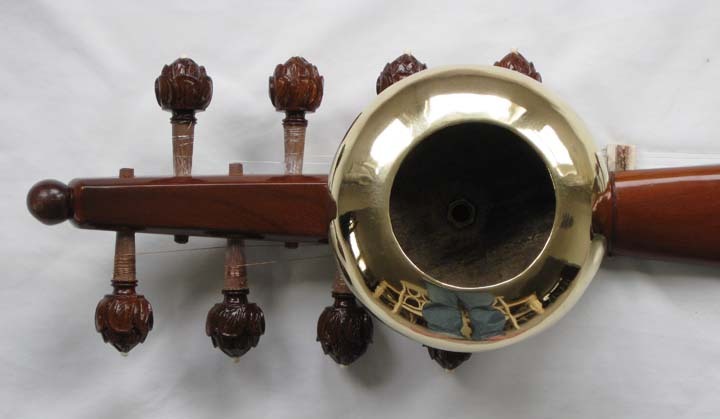 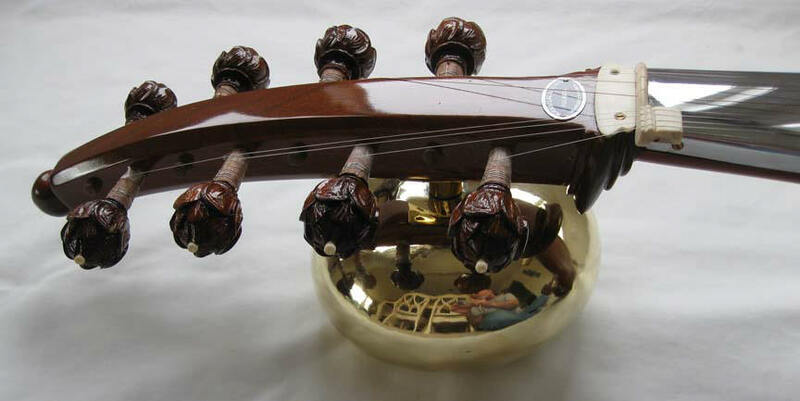 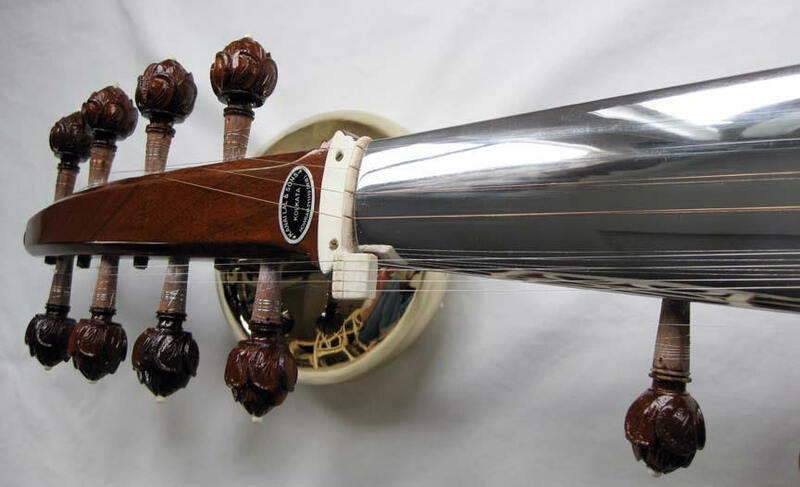 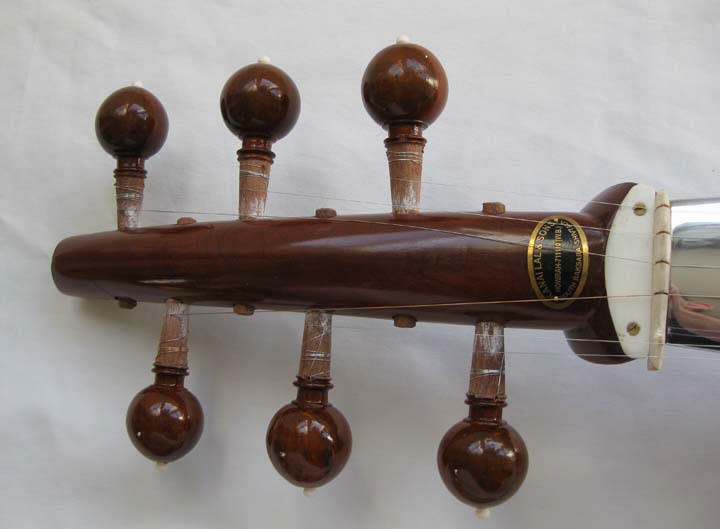 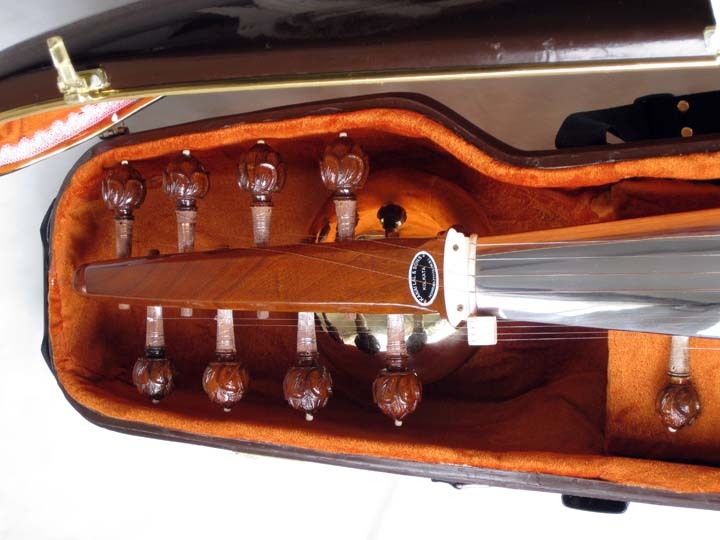 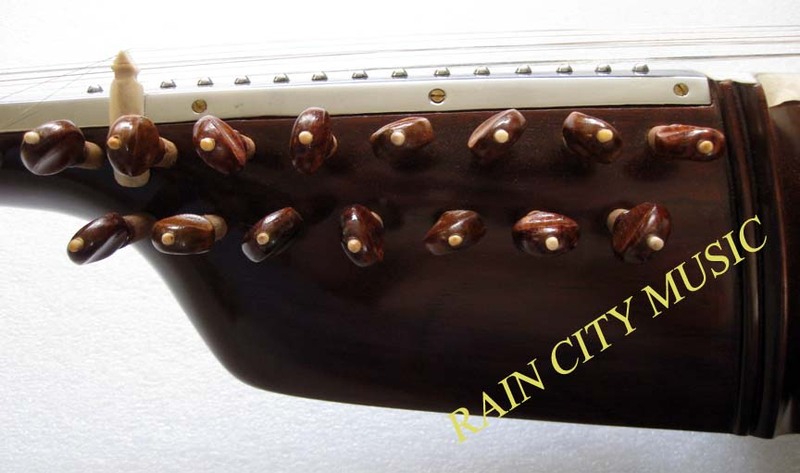 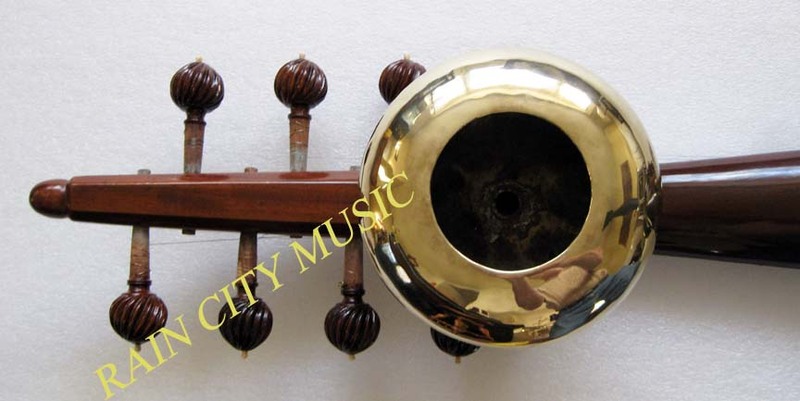 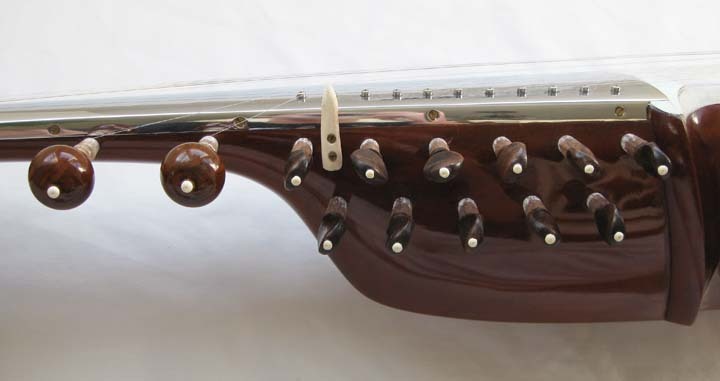 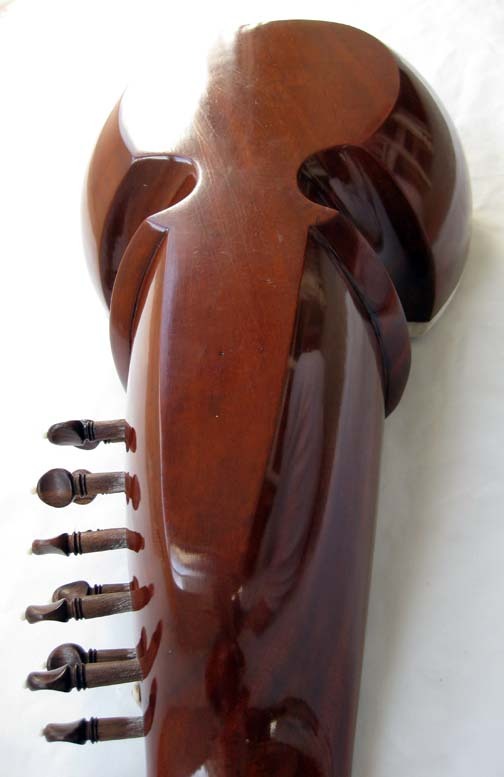 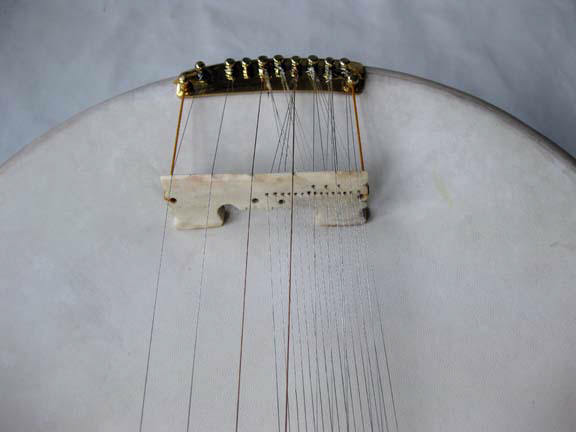 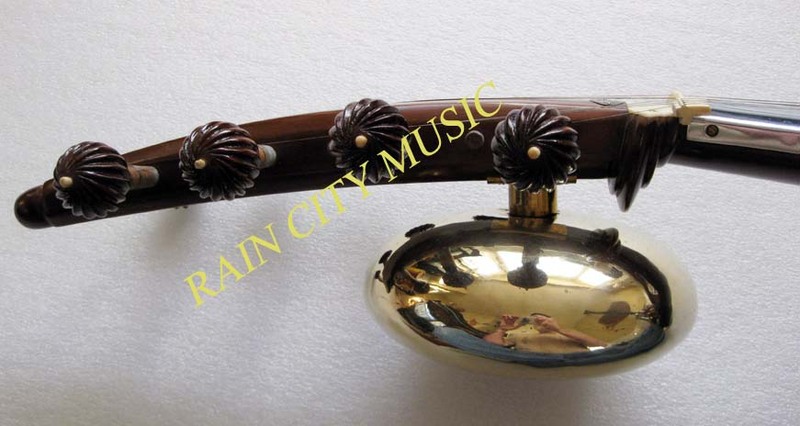 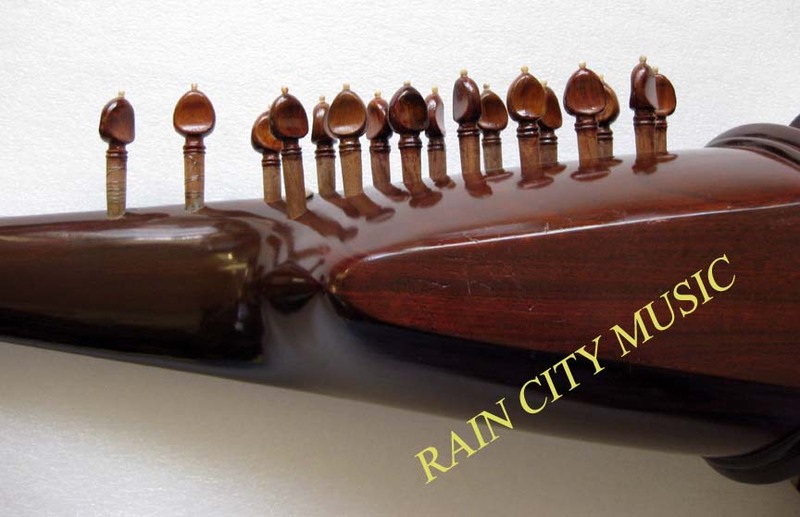 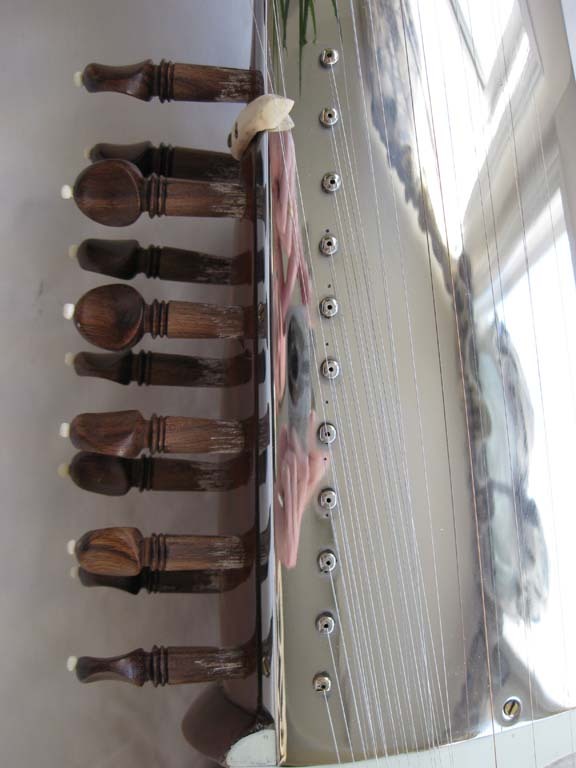 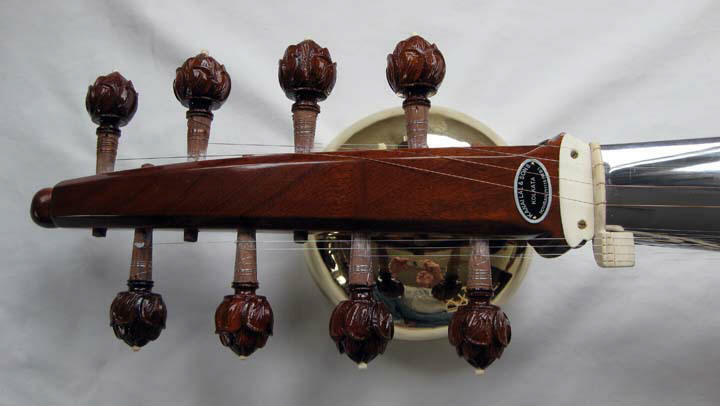 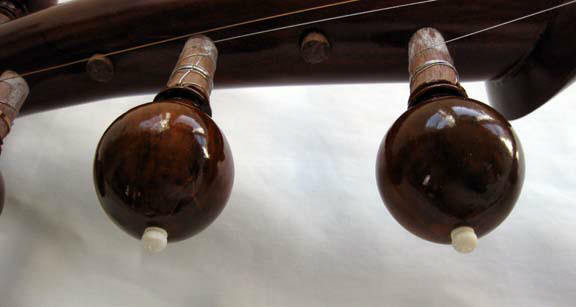 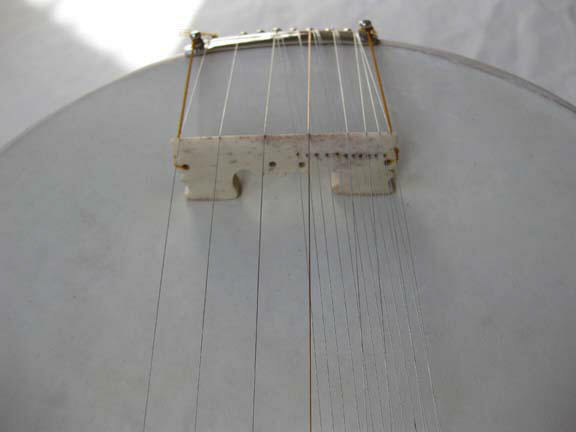 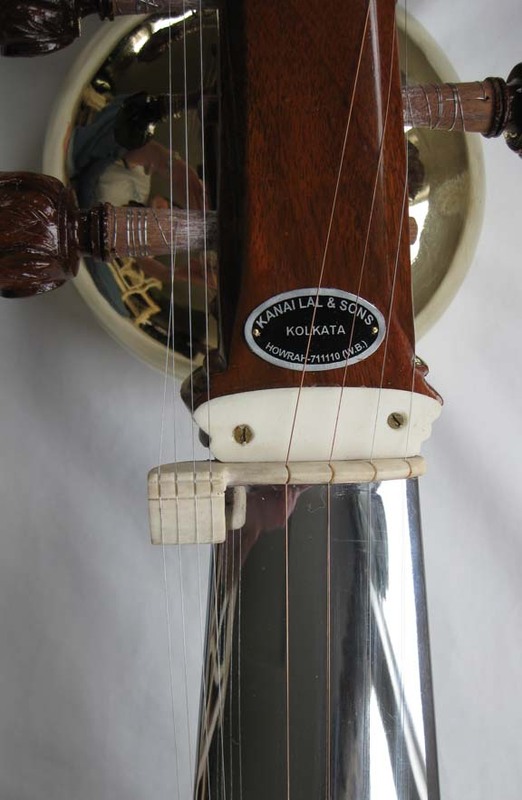 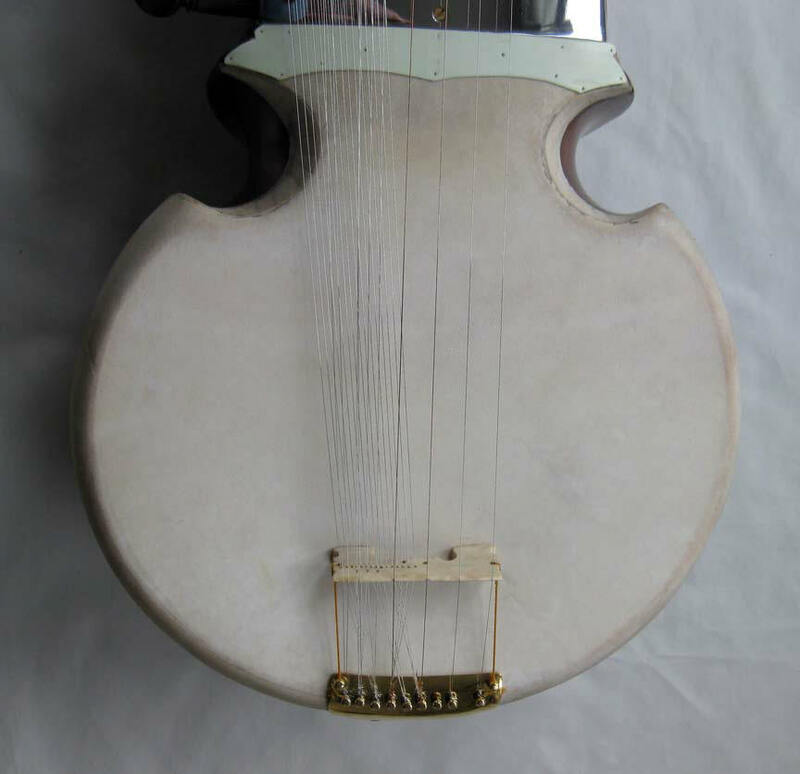 This is an Ali Akbar style sarod which Hemen Sen was most famous for making. 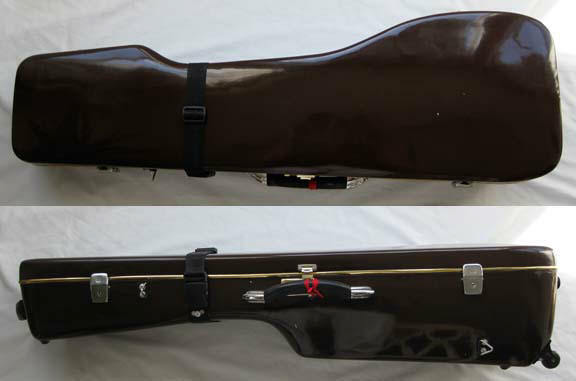 It comes with the original rexine case which is ok for home use but not suitable for unsupervised travel. 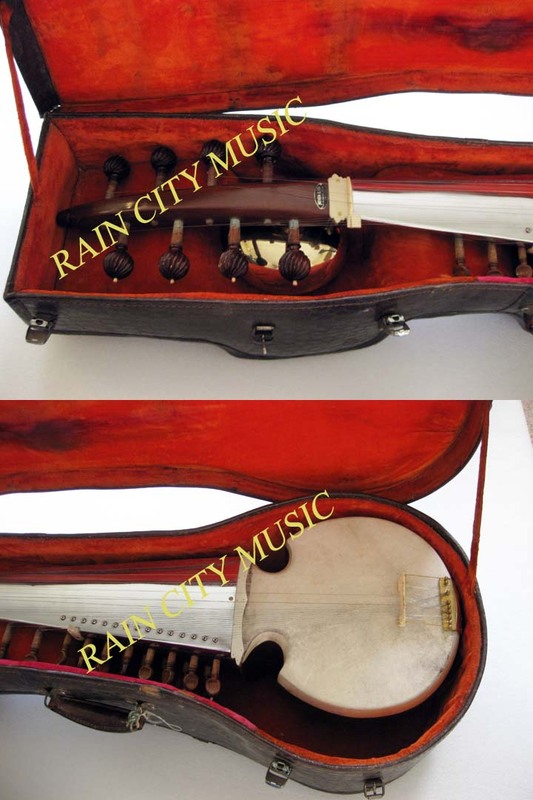 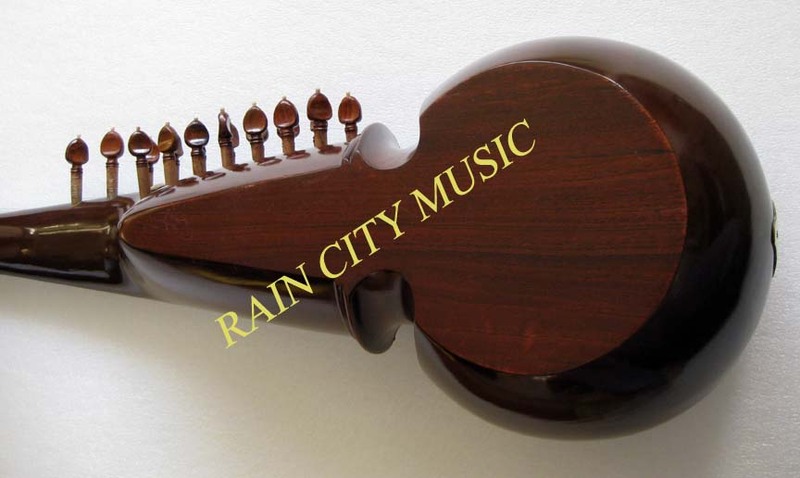 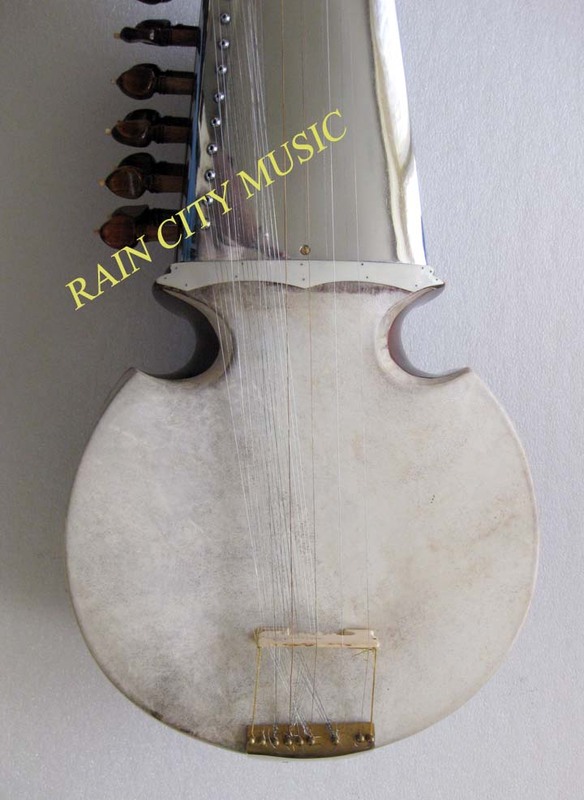 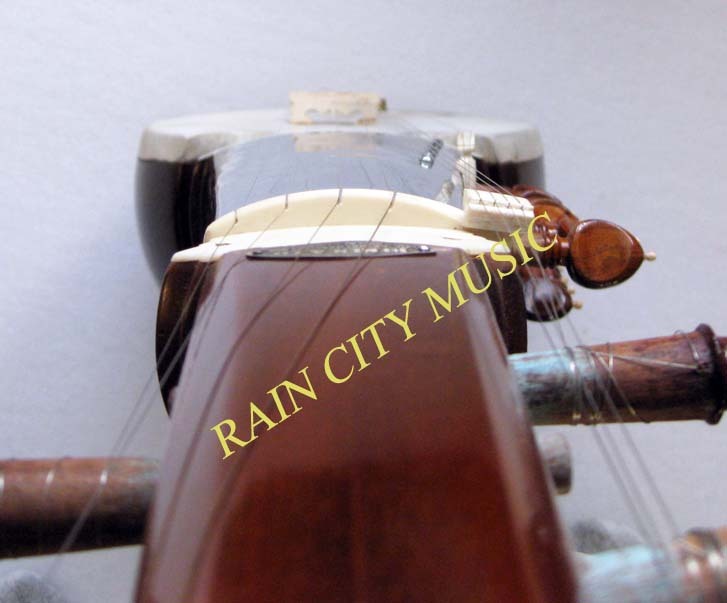 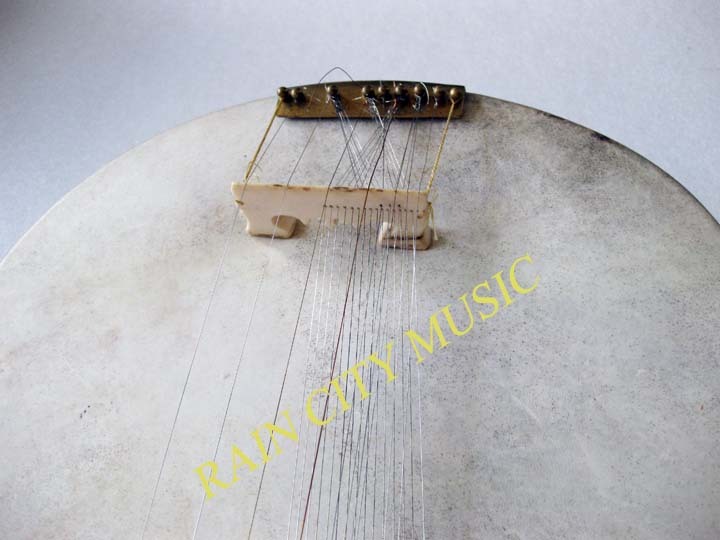 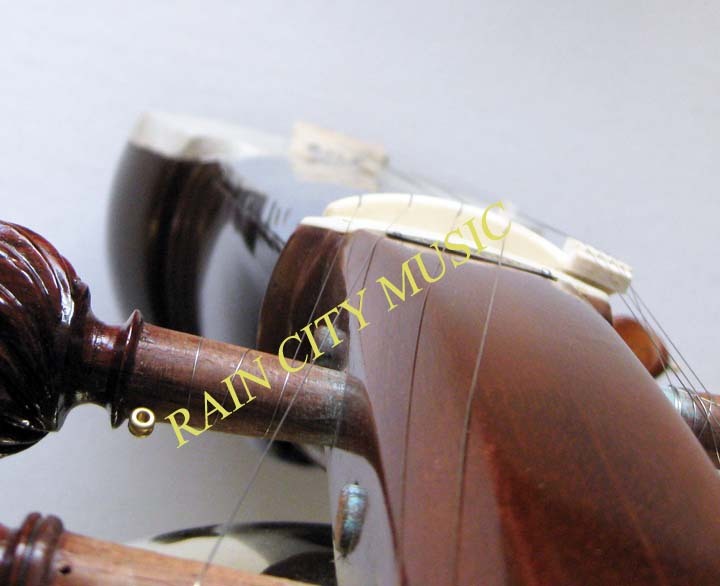 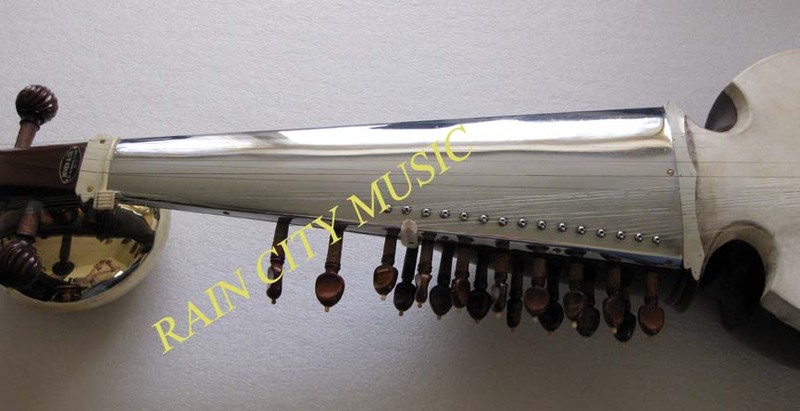 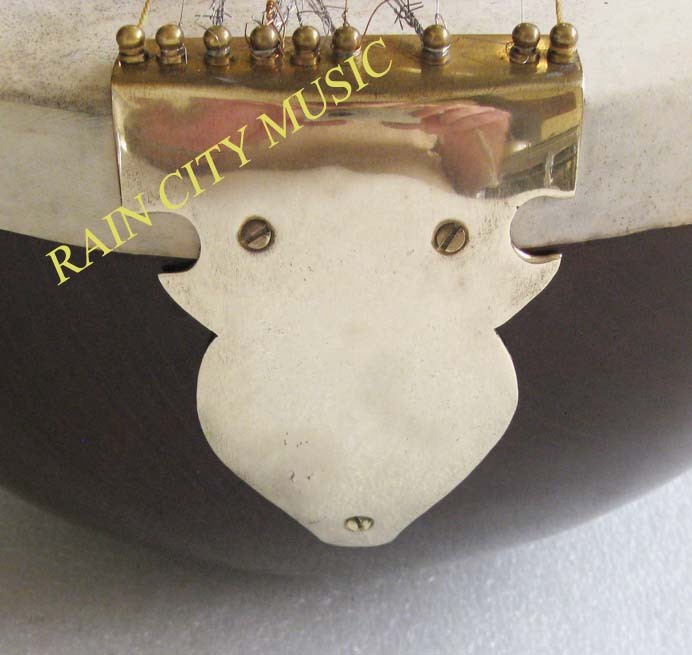 Includes a pick and set of RCM sarod strings with looped mains. 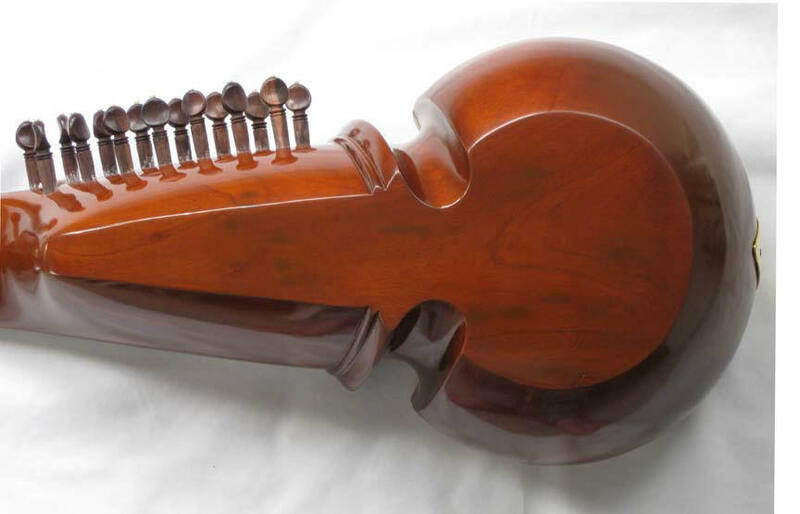 All sales final on this instrument, please email us with any questions. 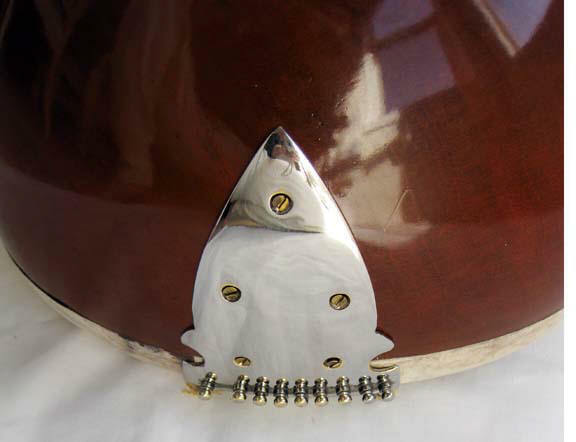 Shipping is $75 West of the Mississippi or $85 East. 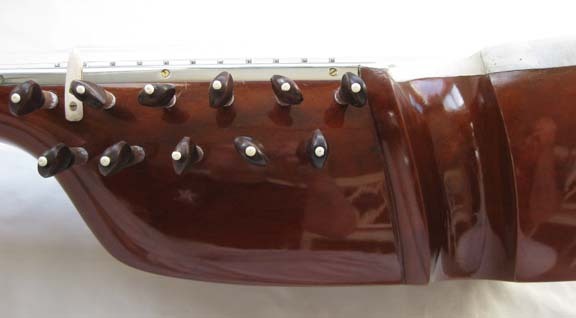 Well made Sarodes with very seasoned mahogany wood. 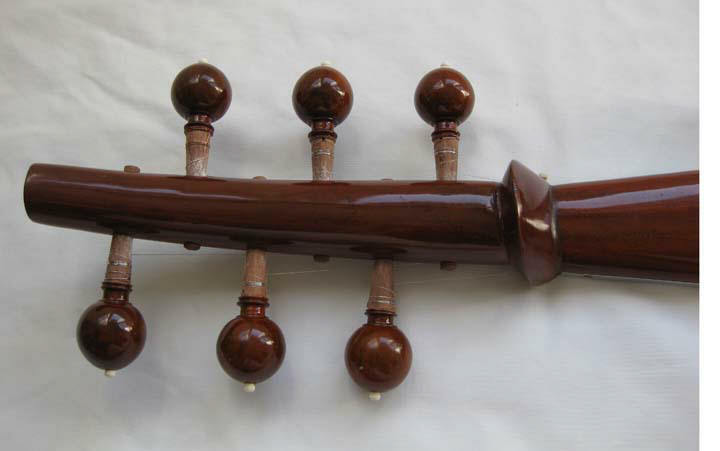 KL&sons have been making sarods for quite some time. 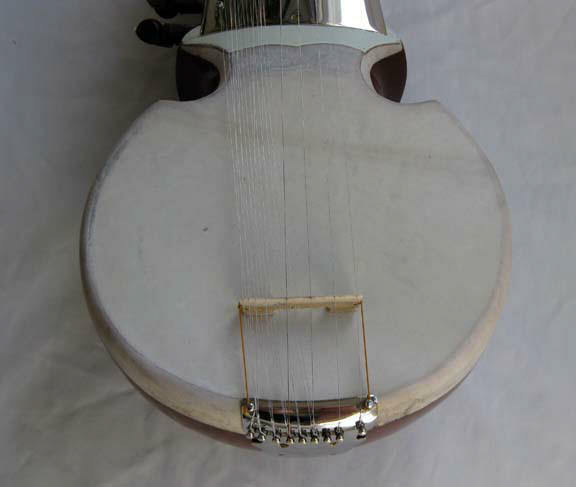 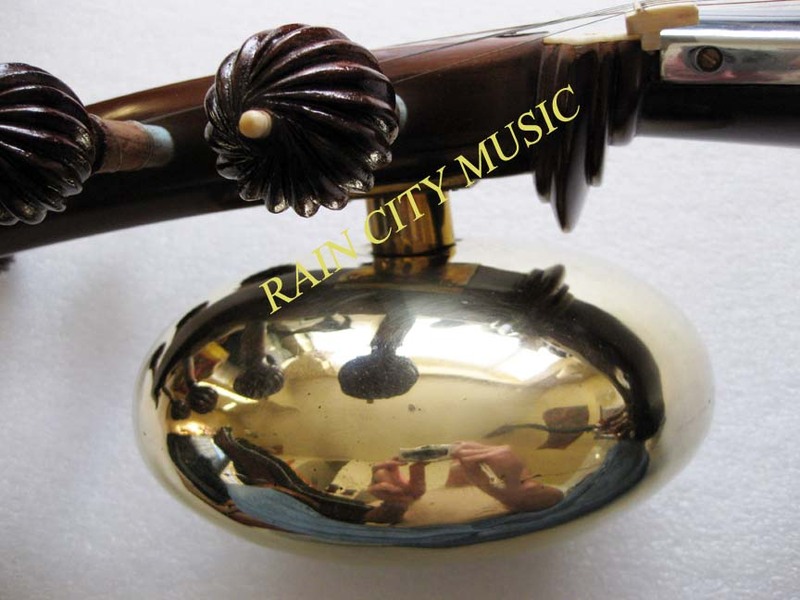 They are modeled after the Hemen Sen sarodes with beautiful fit and finish and a nice tone. 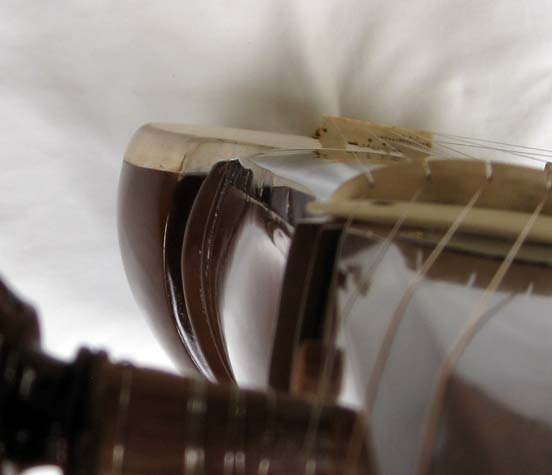 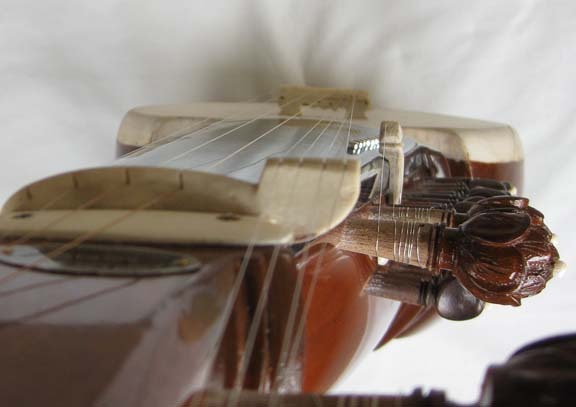 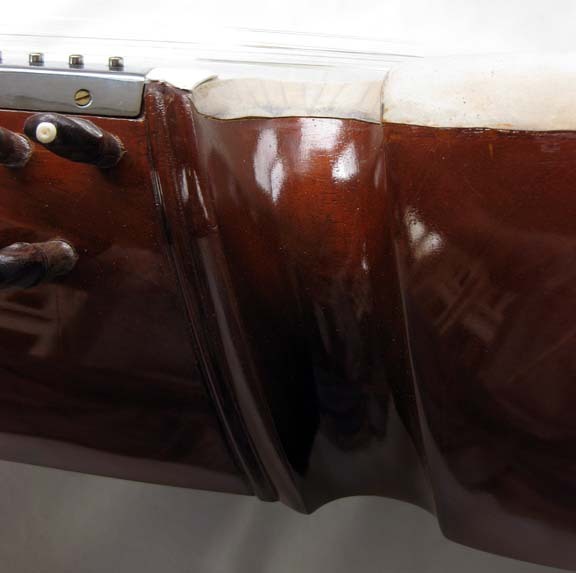 The models we carry are two piece in that the headstock is from a separate piece of wood that is joined to the main body. 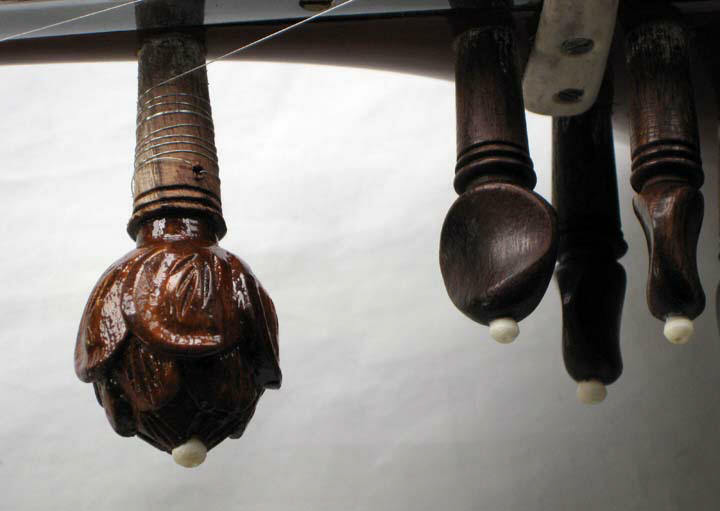 The maker considers this stronger and allows use of the very aged bodies they have. 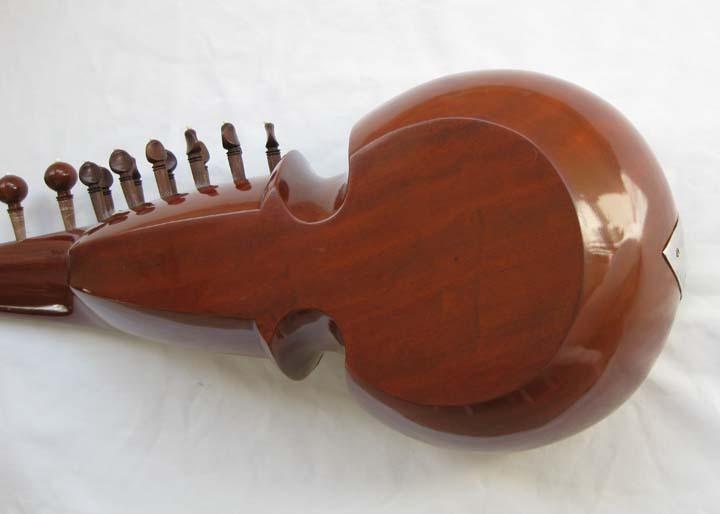 One piece models are available on order, email us for a price quote if interested. 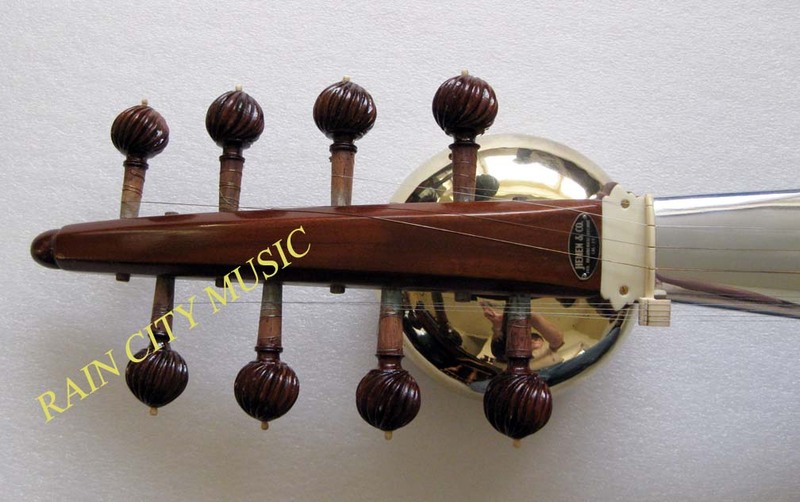 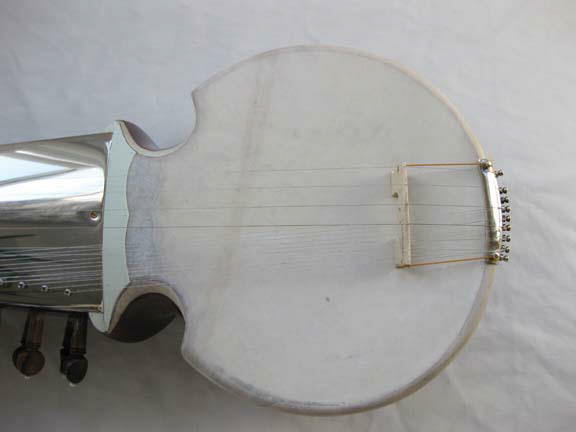 Amjad Ali Khan style: made to order only, approx. 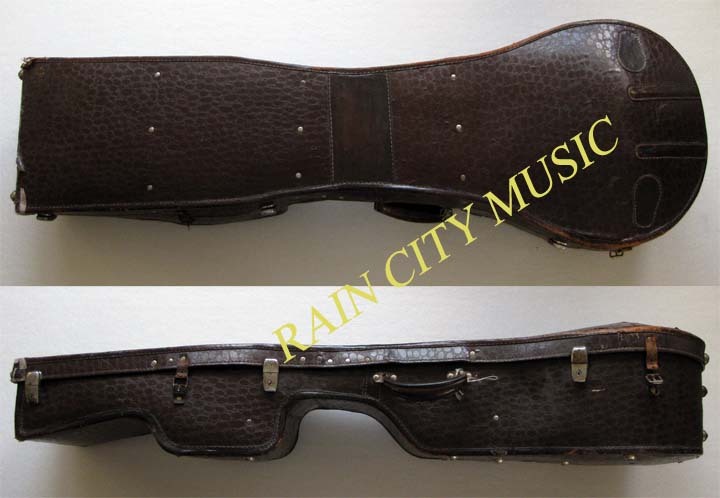 3 to 4 months delivery time or can be sooner and directly shipped at higher shipping cost if needed.